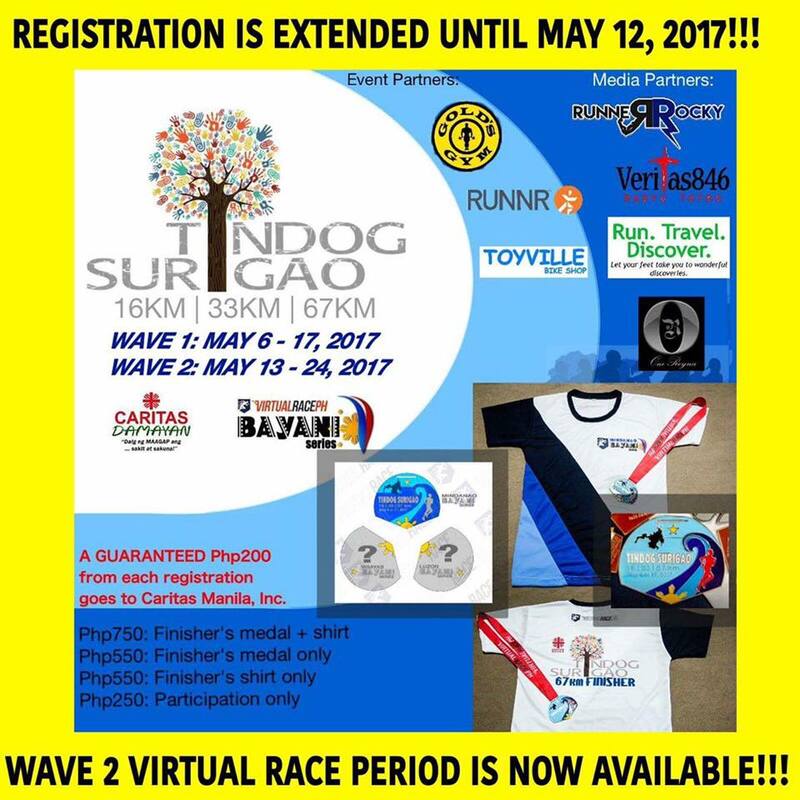 After completing our first Virtual Race via the Beach Buddies last week with my running team Team Runner Rocky, yours truly will be up again for another edition of Virtual Race which is the Tindog Surigao. 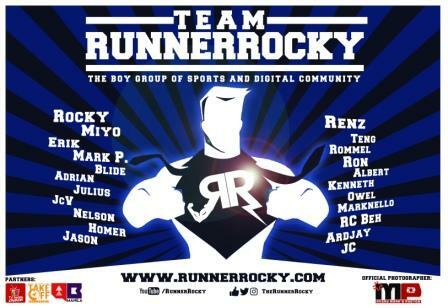 Runner Rocky is a proud Media Partner of this exciting race which aims to help the victims of the the earthquake in Surigao. 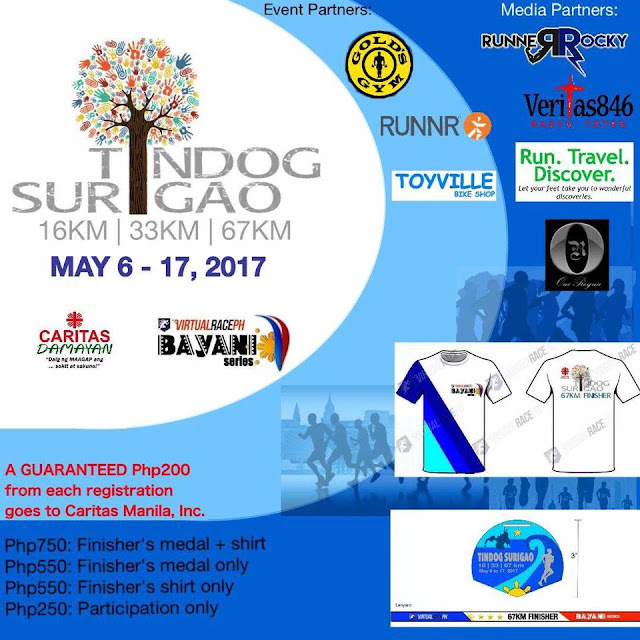 Yes, this is a benefit virtual race event aiming to raise Php 100,000 for the Surigao City earthquake survivors, through Caritas Manila, Inc. Runners may complete either 16km/33km/67km from May 6 to May 17, 2017(12 days) anywhere and anytime convenient for them, and get finisher's medal, shirt, or both. 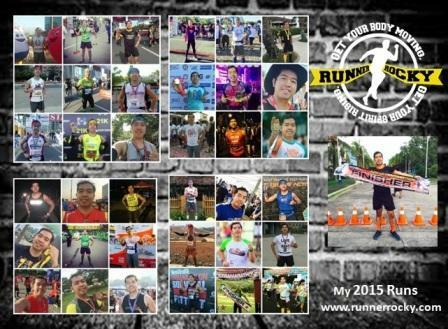 A guaranteed 200php goes to the cause for every registered runner. 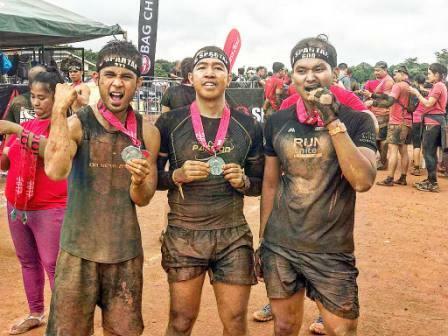 Meanwhile, the Wave 2 of the race is currently open. And registration is Extended until May 12, 2017! To register, just log on to virtualraceph.com. 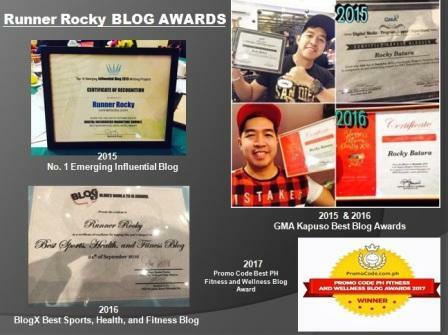 You may also visit the FB page of the Virtual Race for updates: VirtualRacePH.